← Find the Perfect Gift for Mother’s Day at ClubsGalore.Com! 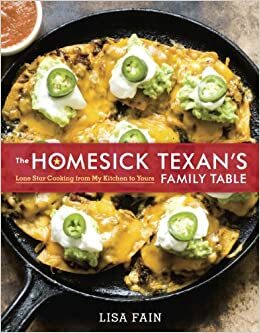 I appreciate cookbooks that don’t have a ton of unattainable ingredients, because I live in a small town and would have to travel far from my tiny grocery store to get them. The recipes in this book might have a LOT of ingredients, but for the most part they are easily gotten. There are recipes that you already know and love, like Chicken Spaghetti, and there are some familiar favorites that are given a Texas twist, like Jalapeno Cornbread Sticks. One thing to know is, don’t get this cookbook if you don’t like things spicy. Nearly every recipe contains a pepper of some kind, and there is even a lengthy section on the beginning to teach you about the different kinds of peppers and how to handle them. I guess you could omit the peppers if you wanted…but that means eliminating a lot of the flavor too! As a Louisiana girl I do like my food with a kick, so this book was a nice get for me. The inclusion of similar ingredients in many recipes makes it a bit one note at times, though. I am looking forward to making my own Texas Sheet Cake! Posted on April 3, 2015, in books, reading, review. Bookmark the permalink. Leave a comment.